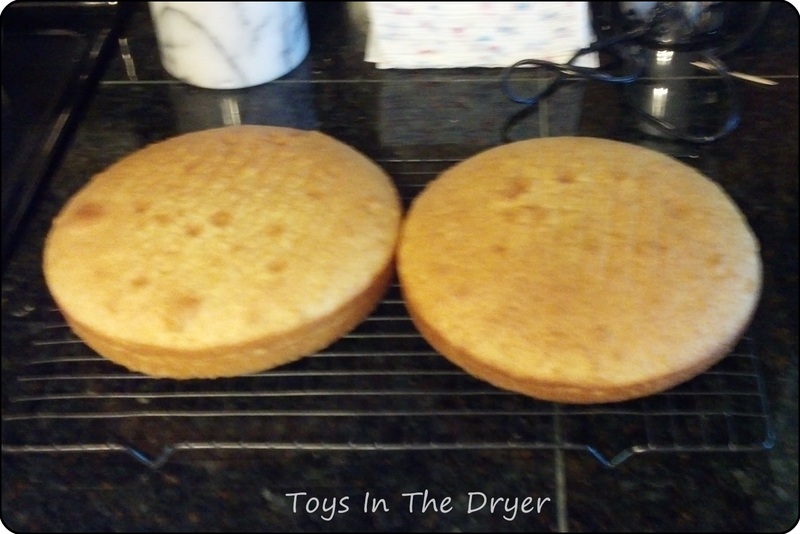 Unlike the original cake, I started out making two vanilla cakes. I surprised myself on how well they turned out (i.e. I got them out of the pan without ruining them). I also surprised myself on how I was able to level them (no photo, sorry). Between my cake layers I put marshmallow fluff creme. 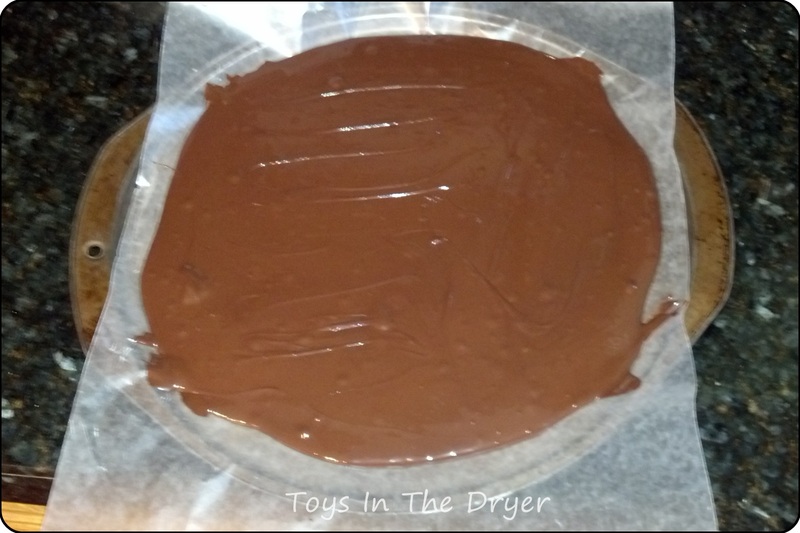 If I didn’t have a cookie sheet large enough for my chocolate, I certainly didn’t have a sheet large enough for my graham cracker dough! 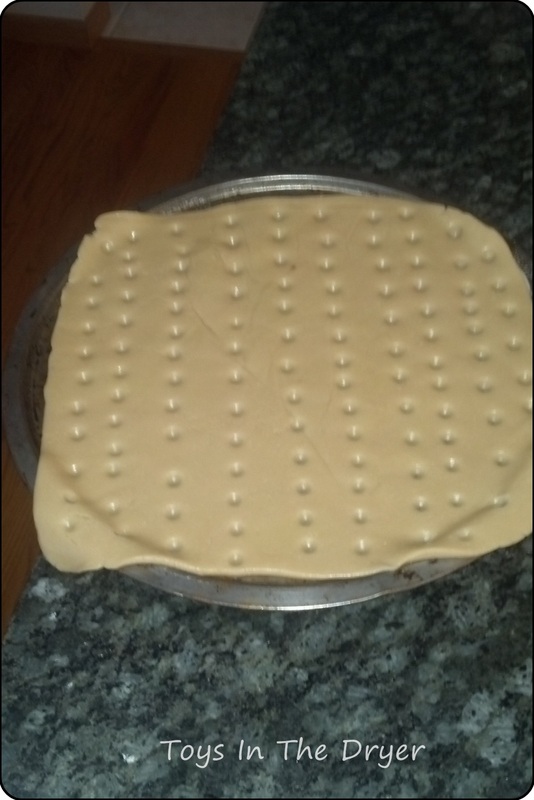 Luckily I was able to bend the edges straight again right after I pulled it out of the oven. After everything was baked and melted, I put the two layers of cake with the marshmallow fluff in the middle and the rest of the ingredients in the fridge for the night. In the morning, I discovered that most of the marshmallow fluff leaked out of the edges of the cake because of the weight of the top layer. Oh well, I stuffed it back in and proceeded to assemble the cake just before the party. 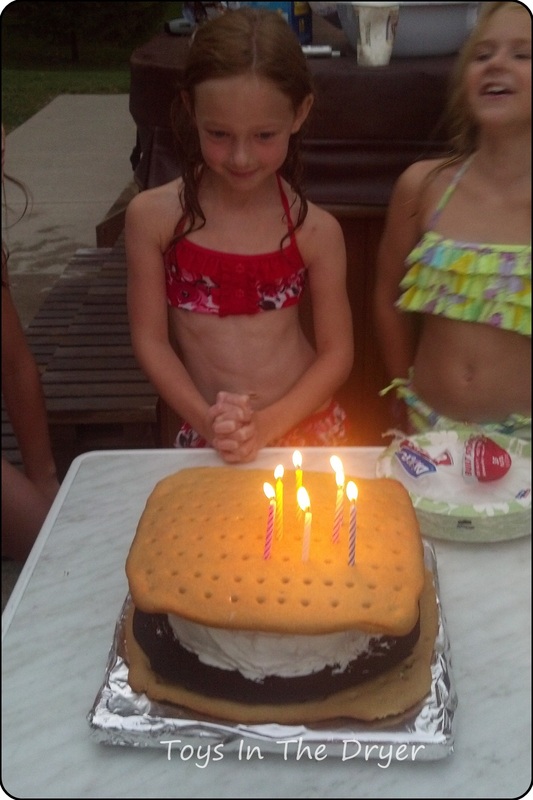 Nutty LOVED showing off her cake and the holes in the graham cracker top fit her candles perfectly. However…remember I said the cake wasn’t practical? Yeah…cutting it was a chore. The graham cracker crust and the chocolate were both hard! It probably would have been good to take the cake out of the fridge a few minutes before we cut it. 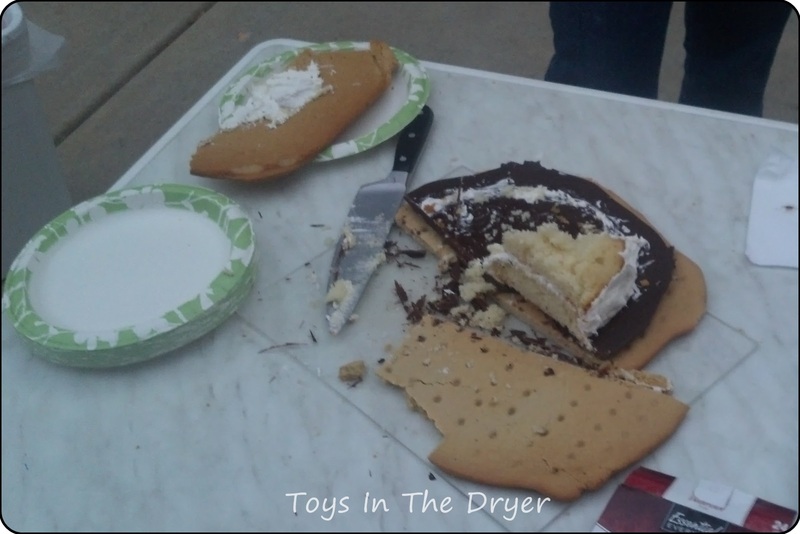 The graham cracker layers tasted great but there was just too much of it. The girls didn’t like that the chocolate was so hard. The middle layer cake though was a huge hit! 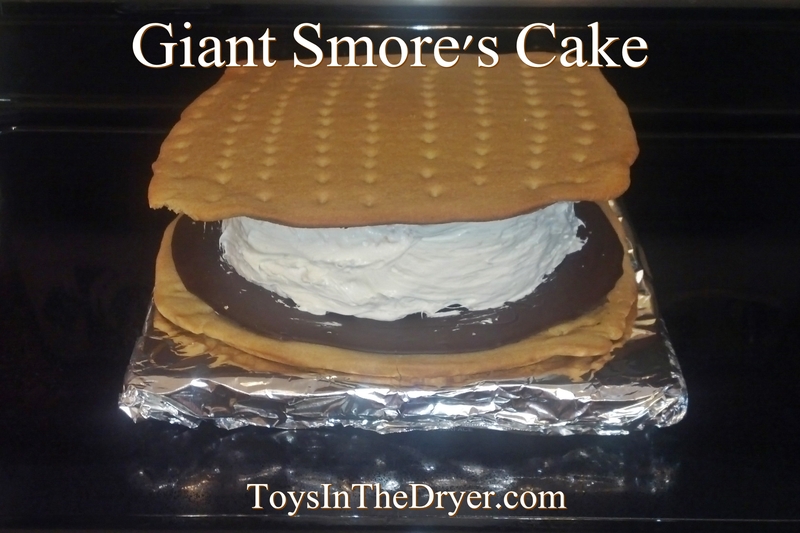 Would you make a giant smore’s cake for your child’s birthday party?